Home · Property Management · Rent Magazine : Tech Trend – Can a ‘Mobile Doorman’ App Take Multifamily Communities to the Next Level? 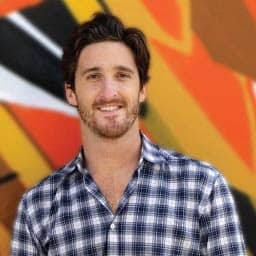 Tech Trend – Can a ‘Mobile Doorman’ App Take Multifamily Communities to the Next Level? With all of the recent advancements in the way we access and manage every aspect of our lives–whether its managing our relationships with the world or managing our multifamily portfolio–it’s about time we start looking at the way we manage our properties and interact with our tenants. One way we’re making use of all this technology is through mobile apps. One such mobile app simplifying multifamily management and enhancing tenant experience is the Mobile Doorman. 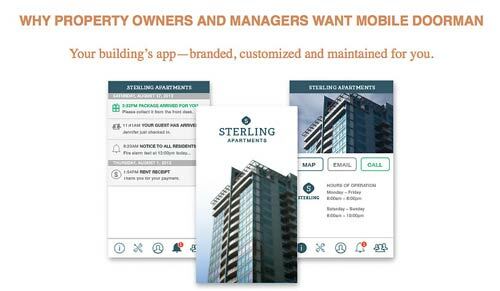 While other apps on the market focus on property manager’s concerns, the idea of allowing tenants to interact with both management and the property itself has begun to spark new innovations. With these apps, renters are gaining control over granting visitor access to the property, mobile reminders when packages are delivered, and the ability to report/track maintenance requests. The Mobile Doorman app acts like a traditional doorman would, acting as the property’s liaison. Instead of having to set up access for each new guest or relying on an employee to contact a tenant when a package arrives, the app cuts out the middle man and lets the tenant manage with ease. According to the app’s founders, the idea is to make it easier for renters to manage their own residential needs by granting them access and control right from their smart phones. The ability for a tenant to submit an after-hours service order for a jammed garbage disposal is only the beginning. That same tenant could go to work the next day and get a text notification once the repair is complete. Open message boards are another feature that these apps can employ to connect tenants with one another. A community message board can prove to benefit tenants by helping residents connect with a neighbor to help with a project, plan community events, or by providing a platform to advertise items for sale. Some features that developers are working on for the next generation of apps include integrating sensors in community exercise centers to let interested residents know how many people are using the equipment or using similar sensors in laundry facilities to let tenants know when a washer or dryer becomes available. At the end of the day, developing useful tools for the benefit of both the tenant and managers is not limited. As a matter of fact, properties can set themselves apart from their competition by offering mobile solutions for tasks such as keeping tenants up-to-date with scheduled happenings throughout the property, enhanced security features, a simple rent payment process, and even access to copies of lease documents.